2018 marks The 100th anniversary of votes for (some) women in the UK. The 6th of February 1918 saw the introduction of the Representation of the People Act, and the new legislation permitted some women over the age of 30 to vote. Universal suffrage was introduced 10 years later. This anniversary marks a victory hard won by the Suffragettes who campaigned and fought for the right for women to vote in the UK. 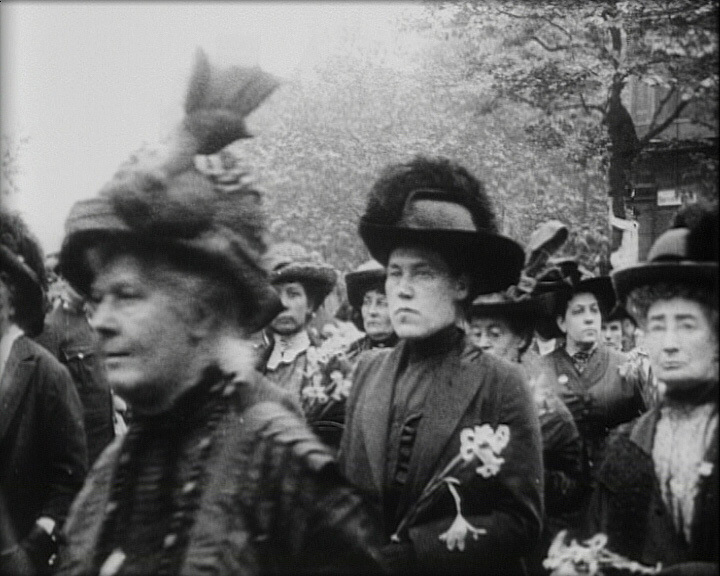 The Screen Archive South East holds film of the Suffragettes as they solemnly process through the streets of London to mark the funeral of Emily Davison who died from injuries sustained at the 1913 Epsom Derby whilst supporting the Women’s Suffrage movement, in a fatal demonstration driven by a belief in ‘deeds not words’ . 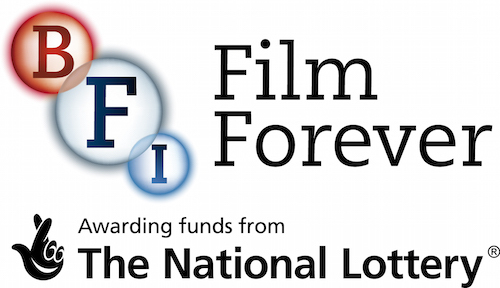 The new medium of cinema and the presence of newsreel cameras, both at the race and at the funeral procession, provided nationwide publicity at a time when the Suffrage Movement was gathering strength and visibility. 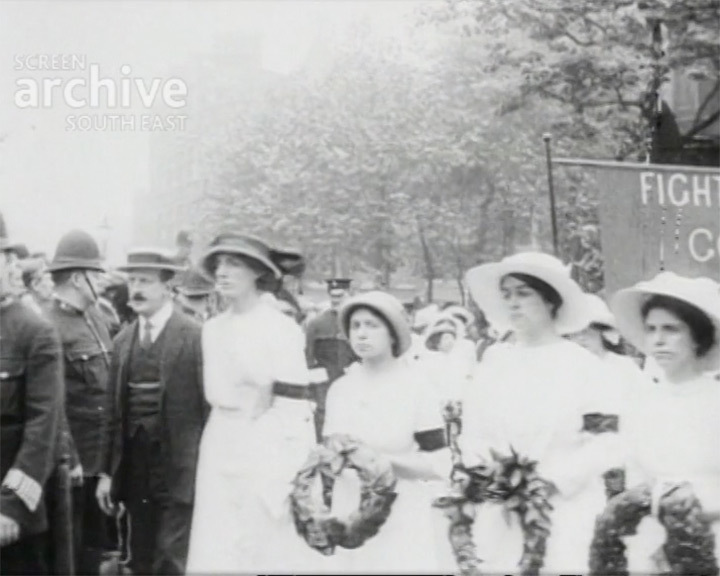 The ceremonial funeral afforded Emily Davison following her death, can be seen in the Screen Archive South East newsreel film Funeral of the Woman Who Dared (4 June 1913; 14 June 1913). Her coffin was carried through central London, accompanied by 6,000 women and ten brass bands before being taken by train for burial at Davison’s family grave in Morpeth, Northumberland. This visual nature of this spectacle was perfectly suited to the gaze of the moving image camera and it ensured extensive media coverage for the Suffrage Movement. But the solemnity of the occasion and the commitment of the women can be glimpsed in the faces of the women who pass by the cameras in mourning. You can view the film online, in the SASE collection.